Klacko Marine and Precision Canvas were tasked with providing a spacious and functional enclosure on a Ranger Tug. 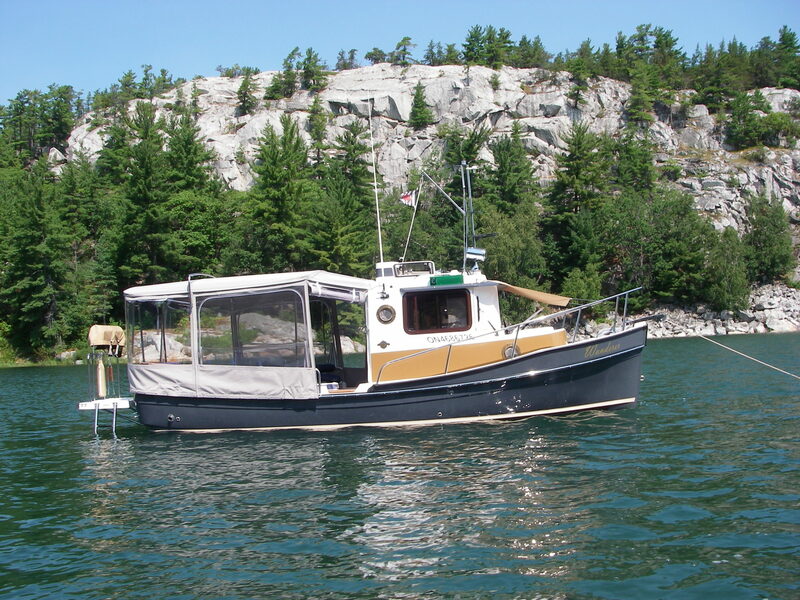 Wanderer finds it’s home on the North Channel where a full enclosure is necessary for comfort and weather protection. The clients spent the summer living aboard and were very pleased that we were able to meet and exceed their requirements. Also fitted, was a more functional anchor roller and bollard cleat. 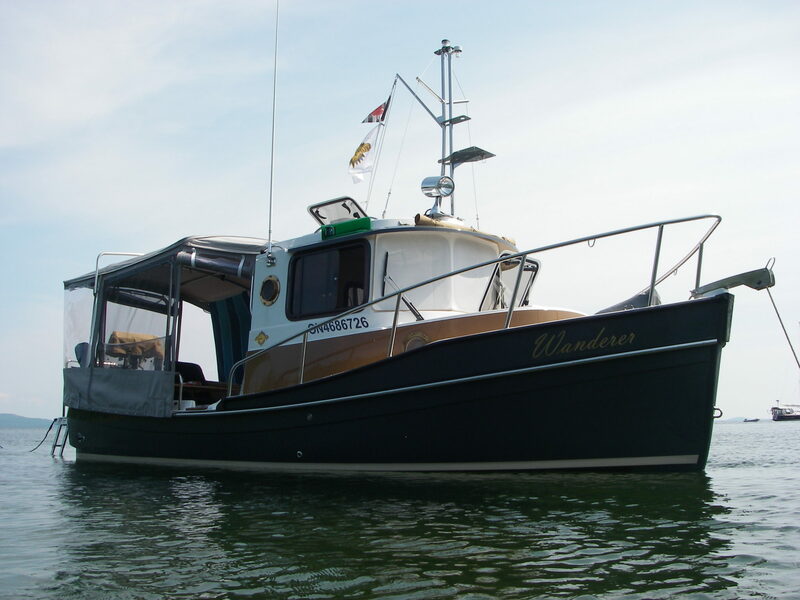 We told that Wanderer’s custom additions were the envy of owners at the 2015 North Channel Rendezvous. Boating Georgian Bay TV starring the North Channel Rendezvous. This entry was posted in Marine Hardware, Ranger and tagged enclosure, klacko, klacko marine, precision canvas, ranger tug, solar arch, stainless bimini. Bookmark the permalink.